Available Slides and Posters of this NICOLE Workshop can be downloaded by NICOLE members from the page Organisation/Member Documents after login via Member Login. 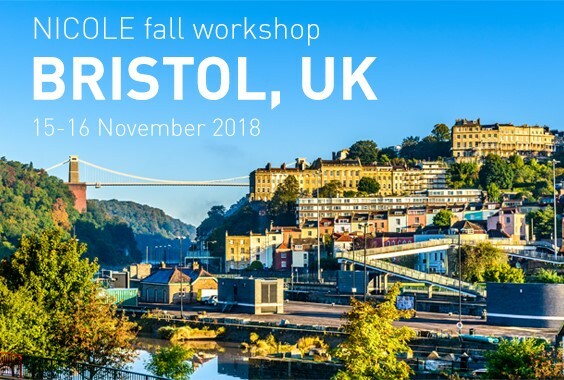 On 15-16 November 2018, NICOLE hosted its yearly Fall workshop in Bristol, UK, with almost 150 participants from accross Europe. The power of data is being increasingly recognised in industry and society as a whole. Our top presenters presented on how we can benefit from data management to shop risk assessment methods and manage projects. Visualisation methods were presented in creative ways with modern technologies: adobe, 3D print, mobile phones and so on. Data provides a communication vehicle for a range of end users - land holders, regulators, designers, urban planners, construction professionals. Innovation can bring all these stakeholders together in the collection, interpretation, sharing and visualisation process. Call for Abstracts (116 kb) The call for abstracts is closed. Willem Havermans - Stantec B.V.